Fujimi Next Series is providing a new model kit concept that does not need glue. It of course requires assembly as any plastic model. But it is snap-fit so glue is no longer needed. Furthermore, it comes with closely accurate color molding. So it may not need painting. Of course, to obtain a more realistic result, you can always paint it as usual. Moreover, the quality is compatible to the standard 1/700 waterline model kit series so it can fit nicely in the existing collection. 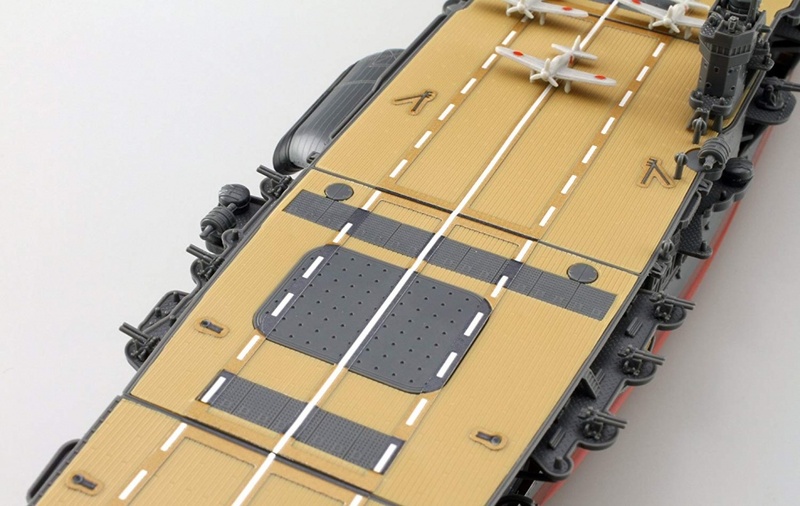 After releasing a number of IJN battleships and destroyers, the Fujimi Next Series is now launching a set of carriers. Here we post some of the results you can obtain by mounting Akagi Carrier.